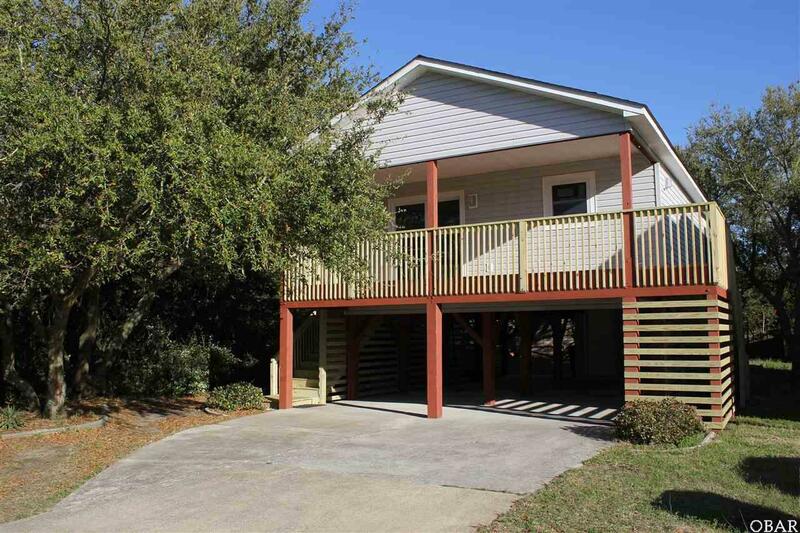 Check out this fresh 2 Bedroom, 1 bathroom beach house, centrally located in Kill Devil Hills, NC. 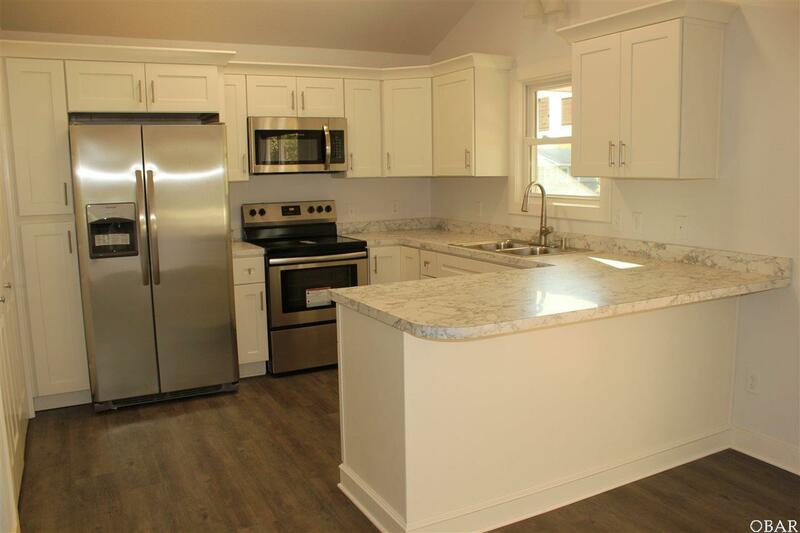 This home was just remodeled throughout with brand new everything. 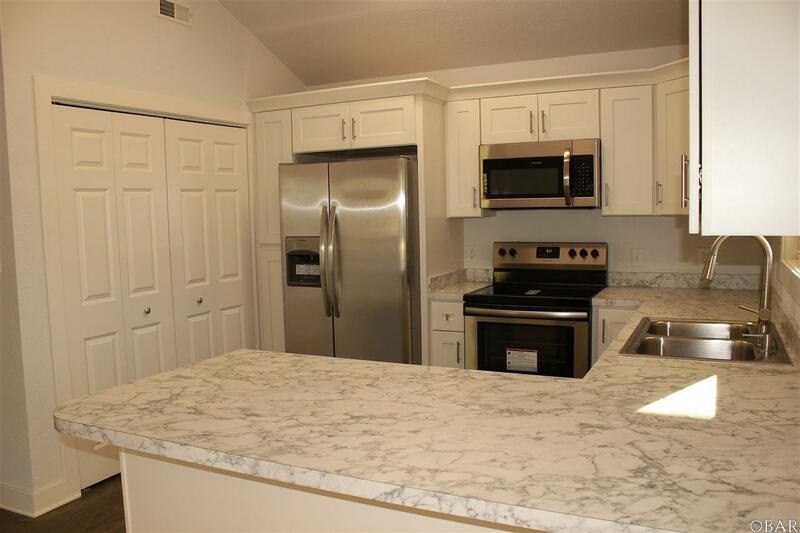 In the kitchen are beautiful bright new cabinets, stainless appliances, and white marble laminate counter tops. 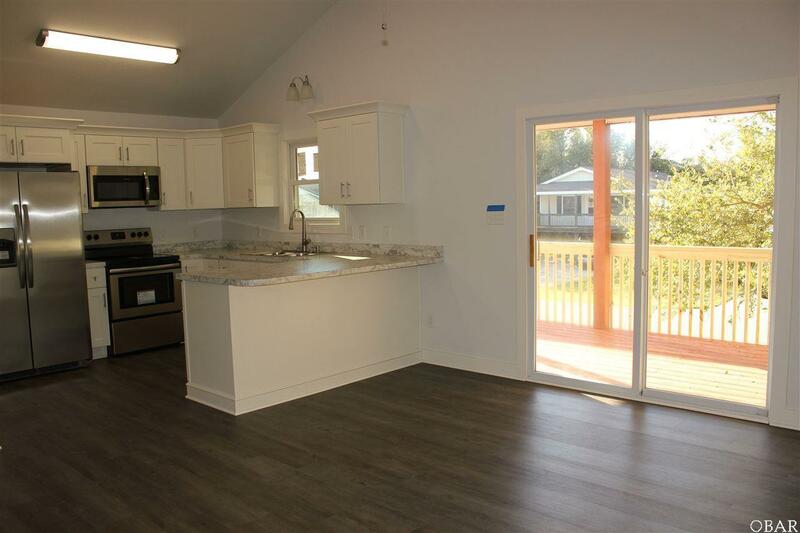 The durable gray wood laminate flooring and ceiling fans shine throughout, and so do the new bathroom cabinets and fixtures. This home may sound small in square footage, but the open floor plan and high ceilings in the main living/kitchen area, make it feel nice and spacious. The new stairways take you either to the wrap-around covered front porch on the right or to the front door on the left. This home has a nice sized back yard, plenty of parking under the house, as well as storage room and outside shower. Walk or bike to the end of the street and enjoy the pathway on beautiful Bay Drive and take in those gorgeous sound views. Don't miss this one! Check it out today!